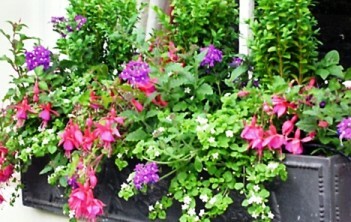 Are Flower Boxes a Profitable Web Business Idea? WOW! I'd love to start a profitable web business. I have several ideas and would like to know which ones would make the most money. I am a gardener and would love to start a website about planting beautiful flower boxes. Although I can't imagine how that could earn much money. I do enjoy hosting dinner parties as well but can't figure out how that topic would make a good website either. Then my last idea would be sharing my passion for designer shoes. Again, that seems like an idea that would have a very limited audience. I'd appreciate learning what your thoughts are on these possible website topics. How very creative you are! Beautiful flower box by the way. I really like each of your ideas and think they all have wonderful potential. For many reason, I personally would choose the topic that I was most passionate about. For starters, it's much easier to write web pages about subject matter that you enjoy. The information flows easier and the passion tends to shine through. Visitors love that! It's the best way to build a loyal and interested audience. While there are a gazillion ways to make money with a website, the most important factors are about attracting an audience that enjoys and finds your material helpful. When your visitors see your website as a valuable resource, then they will trust you enough to make purchases of the products you recommend or the book you have written or in whatever other products/services you think of offering. So while certain topics for website can generate more income than others, if those sites aren't interesting enough to attract any visitors then they won't (because they have no audience) to make money. So that convoluted answer to your question really can be summed up by choosing the topic for your website that you will enjoy working on for years to come. The income will (and does) follow. The main reason why I so highly recommend the SBI website builder program is that this particular company actually specializes in teaching people how to build a web business not just a website. Ginger, I think you will do extremely well. It sounds like you are really exploring all your options first before diving in. P.S. Feel free to use my contact form if you need any help along the way! Join in and write your own page! It's easy to do. How? Simply click here to return to Free Website.